You are looking swell today. Fusing the Pixies and Love was never going to be easy. But nothing good ever is, is it? Sweet pop sunlight peeking out from inbetween cracked guitar slabs. Harmonies and battering rams, guitar strings and piano wire. 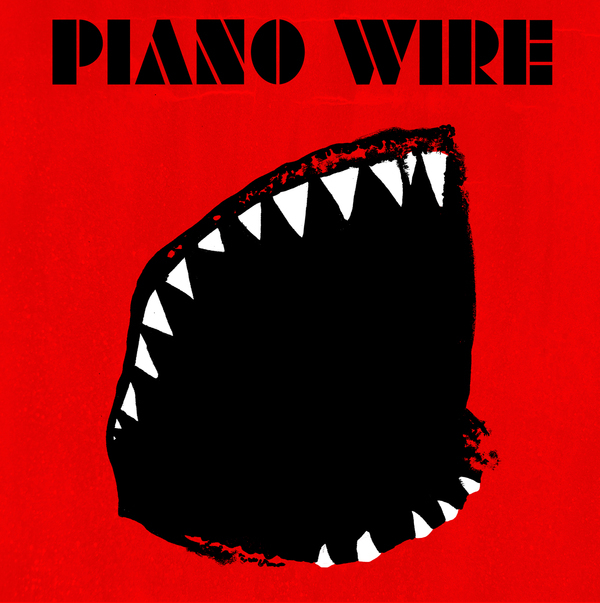 Piano Wire are the new band from Sym and Andy, still smouldering from the wreckage of Eighties Matchbox B-Line Disaster’s final uncontrolled detonation. Sean and Lenny fill out the four here and balance the scales. Into The Orchid is Piano Wire’s first single: “an invigorating blend of dead-eyed QOTSA swagger and piercing post-punk”. And size matters. You know that. If it’s worth saying, it’s worth saying in letters fifty feet tall. Don’t be shy. Come here and say it too. You know the words. Or you soon will. These are their first songs, their first steps. There’s a mountain to climb yet but they’ve hit the ground running and the view is already breathtaking. The Genius Of The Crowd EP is coming out on vinyl/download via Demand Vinyl / Something In Construction on May 25th. Thanks to Hank for the title.